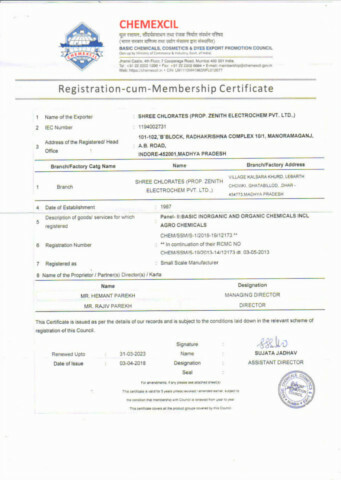 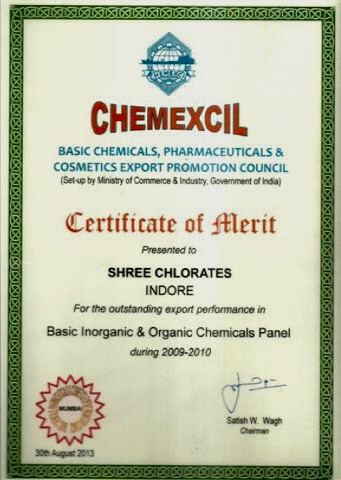 Basic chemicals and pharmaceuticals export promotion council of India, (Chemexcil) has awarded Shree Chlorates with the award for best export performance in basic inorganic and organic chemicals panel in the year 2009 - 10. 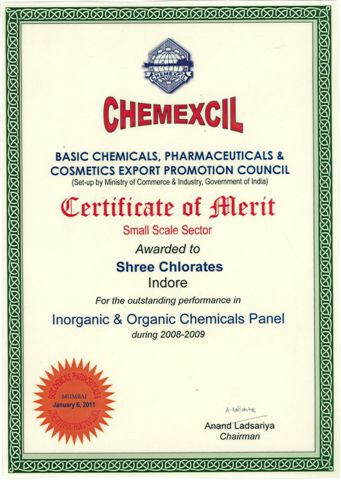 Basic chemicals and pharmaceuticals export promotion council of India, (Chemexcil) has awarded Shree Chlorates with the award for best export performance in basic inorganic and organic chemicals panel in the year 2008 - 09. 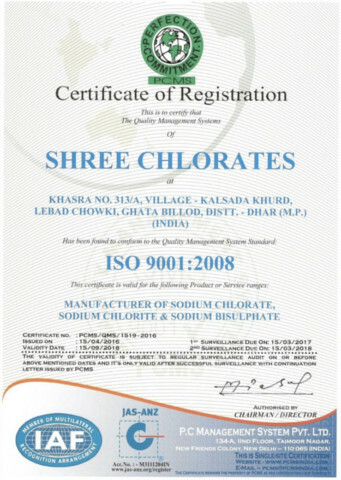 Basic chemicals and pharmaceuticals export promotion council of India, (Chemexcil) has awarded Shree Chlorates with the award for best export performance in basic inorganic, organic chemicals and agro chemicals in the year 2006 - 07.